Ready to breathe easier? 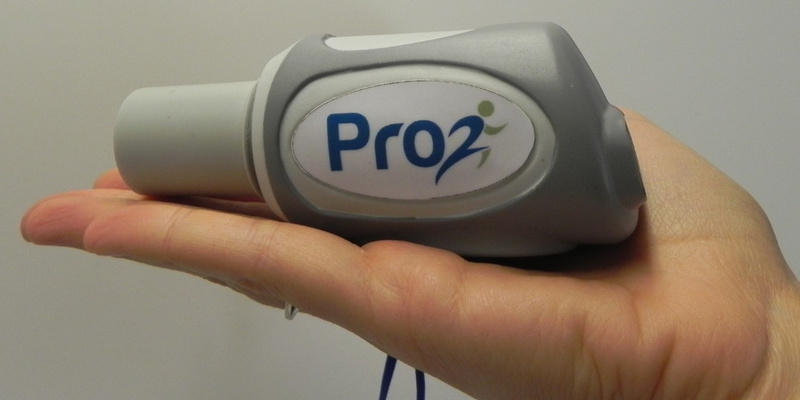 Order a PrO2 today! We have two options available. Fully functional MakerBot built prototype devices that are hand-built to order and ship in 2-4 weeks. The software runs on iOS and Android and includes the "trainer" option that allows multiple users to train on one device. Pre-order a production version. We won't place the order until we reach our production milestone - and that may not be for several months. Breathing is critical to performance and to life. PrO2™ is the first multi-platform device to offer a proven workout that targets your breathing muscles. 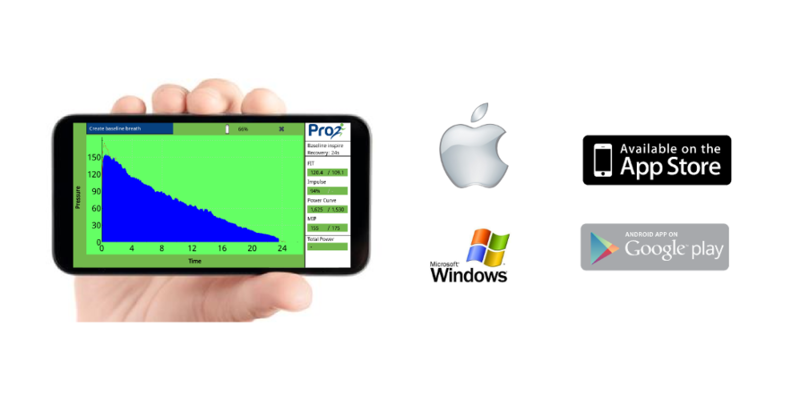 The PrO2™ training app runs on iPhone/iPad and Android as well as Mac and Windows! 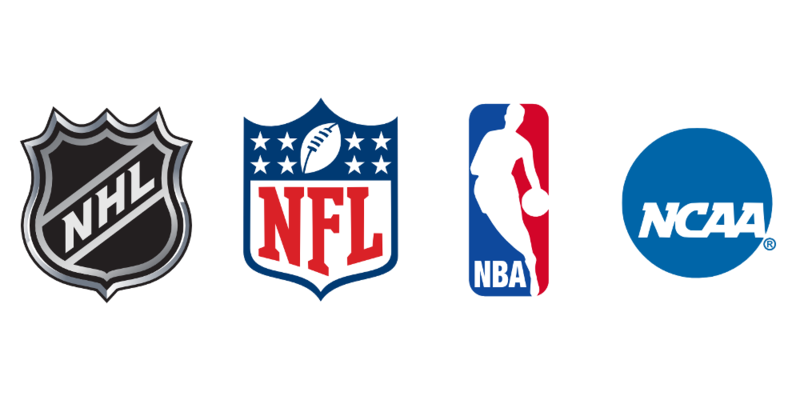 Professional sports teams and colleges are already seeing dramatic benefits from PrO2™ training. You will too! Breathing is critical, to performance and to life. 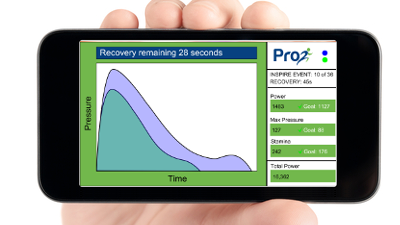 PrO2™ is the first multi-platform device to offer a proven inspiratory muscle training (IMT) workout. No general exercise training specifically targets these muscles. PrO2™ guides you through resisted breath-training exercises, personalized to your capability, to increase your lung capacity and strengthen your breathing muscles. After training with PrO2, everything from walking up stairs to running an ultra-marathon will be easier. Inspiratory Muscle Training, or IMT for short, has been around for decades in the medical and sports environments. Our training method has been tested and we have the research to prove it works! PrO2 brings IMT to the masses with a personal device that’s easy to use and pairs with your smartphone to provide a fun, highly motivating workout. Stay connected, stay motivated. Our smartphone app and website make it easy to share your results to see how you are doing relative to people like you and even compete with others. Studies have shown that after 6-8 weeks of training just two to three times a week, breathing muscle power, work capacity and strength increased an average of 50%. This was associated with a 10% increase in aerobic capacity. 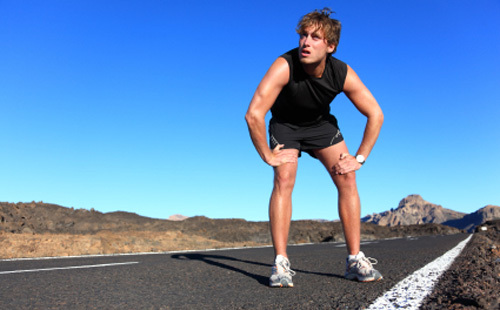 With these increases, you can push yourself further and recover faster. You’ll feel the difference. 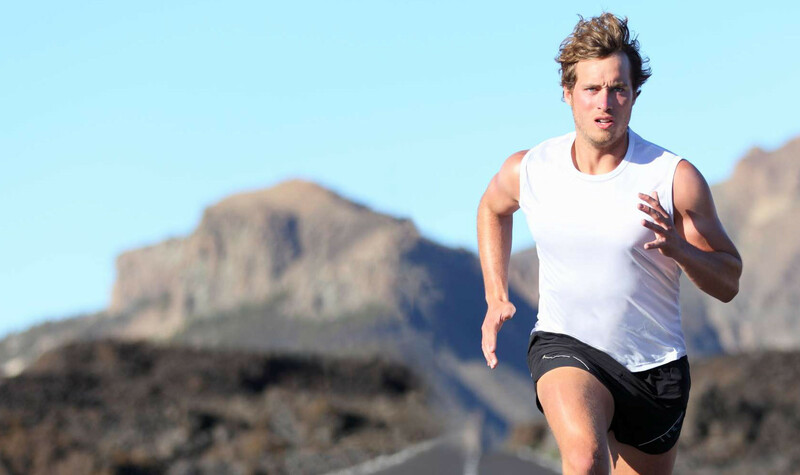 PrO2™ uses a clinically proven protocol for training the inspiratory muscles. Instead of simply giving you a device to breathe through, our system walks you through the training process with easy to understand step-by-step instructions. During training, you will see in real-time how you are progressing toward the goals you set at the beginning of each session. The app will motivate you with tips on how to meet your goals and those goals if necessary to ensure you get the best workout possible. More details can be found on our Research page and in our FAQ. Get the PrO2™ and get your engine operating at peak performance. When you share something, people pay attention! Please take a few seconds and help everyone breathe a little easier by spreading the PrO2 love.